The restumping, raising and levelling specialists. We are the re-levelling, restumping, raising and sliding specialists in Brisbane. 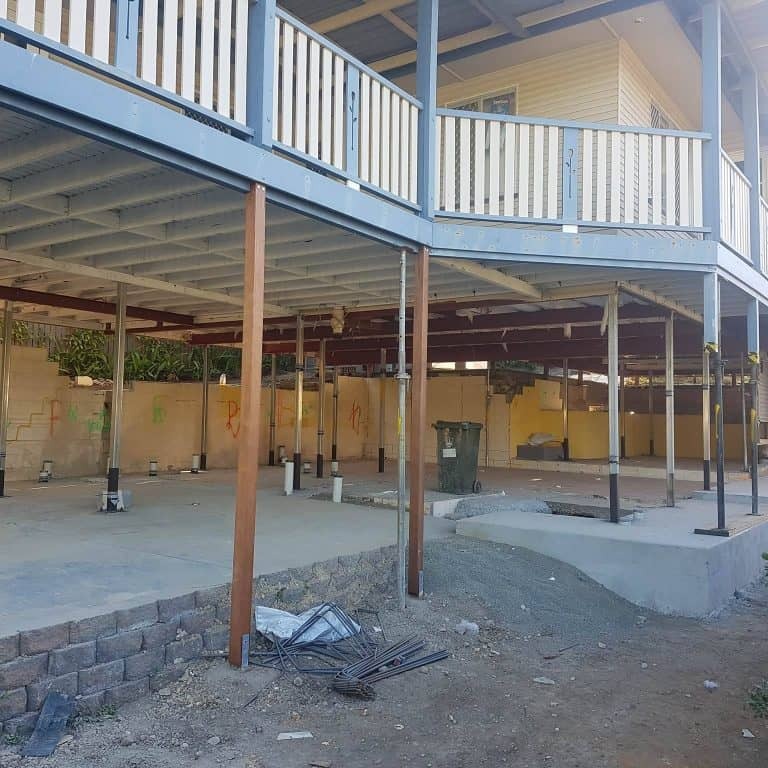 Over the years, Queensland House Restumping has established a reputation for trustworthiness and reliability when it comes to providing a number of services aimed at strengthening and stabilising existing building structures. Sticking doors, cracking plaster and soft floors are early warning signs of weak foundation stumps. One of the big mistakes people make is to begin their property renovation before having their sub-floor checked, resulting in unexpected additional costs after works have commenced and a delay in renovation works. 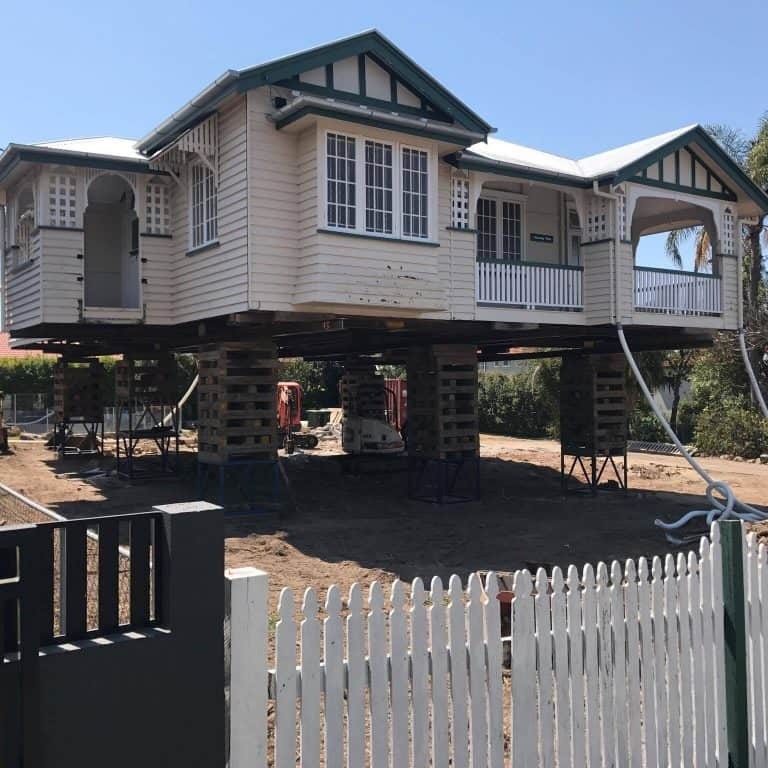 It’s important to establish whether your house requires re-levelling, restumping, or sliding before any property renovation commences. The main benefits are to achieve a level floor and secure foundation to ensure safety and achieve investment growth. Foundation problems can threaten your property and investment by causing serious structural damage, ultimately reducing your property’s value. Our restumping specialists will come to your home and make a thorough inspection to determine the cause and best way to fix the problem. We will also keep customers abreast of procedures and answer any questions along the way. Rock solid solutions that last. We have extensive experience in raising and levelling house footings. We use leading foundation repair methods and high quality materials to make sure the job is done right so there are no future surprises! Our stumps and blocks are manufactured from the highest quality materials available, and are designed and engineered to provide optimum long-term performance. We promise reliable maintenance and structural repairs. As professionals, we know that all structures suffer from the passing of time, weather, soil changes, and many other factors. Our restumping specialists will work closely with you to periodically inspect and repair common, as well as exceptional, structural problems and provide a guarantee if required.